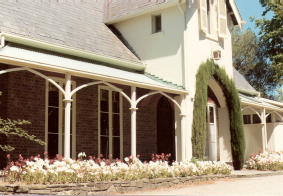 Daylesford, Victoria was the first foundation of the Grey Sisters, established in 1930. Here women and children had a holiday away from the stresses of daily life. 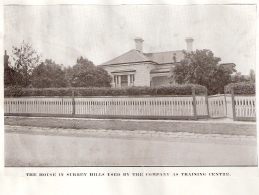 A Mother & Child Care Centre was opened at Surrey Hills and the first Catholic Mothercraft Training school was begun in 1933. “Mountfield” at 6 Mont Albert Rd. Canterbury became the Congregation’s ‘Mother House’ in 1947. This was the home of George Taylor and his family who immigrated from England. George’s sister, Frances, became a Catholic and founded the Poor Servants of the Mothers of God (in the UK). Interestingly, their principal work was the visitation and nursing of the poor in their own homes. “Mountfield” and part of the land was sold in 2006 to the Anglican Girls Grammar School. A flat on the 10th floor of a 20 storey building was home for the Family Care Sisters for approx. 14 years. 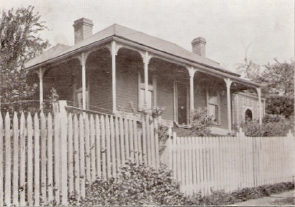 The Sisters lived and worked in the area,supporting women and families. 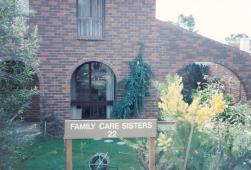 In 1987, we (The Family Care Sisters) purchased a home in Bendigo. Here, mothers and their young children could come for a short break, away from the stresses of daily living. We lived and worked here for 13 wonderful years. Today, the facility is used by “Daybreak”, an ecumenical group offering Seminars, Spiritual Direction, Meditation groups, etc. 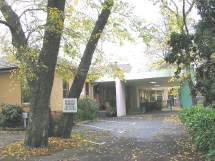 Holiday Flats – Located on the Mornington Peninsula, the two flats are now managed by McAuley Community Services for Women. For Bookings: phone 0427 193 609. O’Connell Family Centre – the first Catholic Mothercraft school established by Maude O’Connell, continues today as an Early Parenting Centre.